2 New Channels Won DD Freedish Slot and 6 renewed. 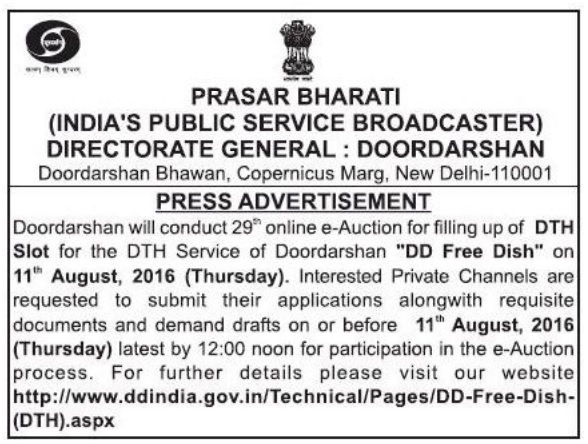 Interested private TV channels can take part or can renew its annual subscription by this e-auction if they want avail their TV channel on DD Free dish platform. To submit applications along with requisite documents and demand drafts on or before 11th August, 2016 (Thursday) latest by 12:00 PM. 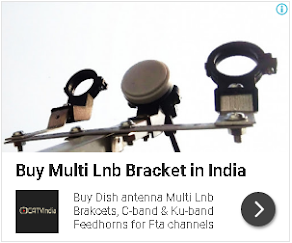 आप लोगों ने DD Free Dish में जो नये मूवी चैनेल और अन्य चैनेल दियें है, वो क्या लाईफ टाईम फ्री रहेगी या फिर उसके लिए बाद में चार्ज भी लगेगा? कृप्या बतायें. Legal Advisor, BigNews Marathi T.V. News Channel.